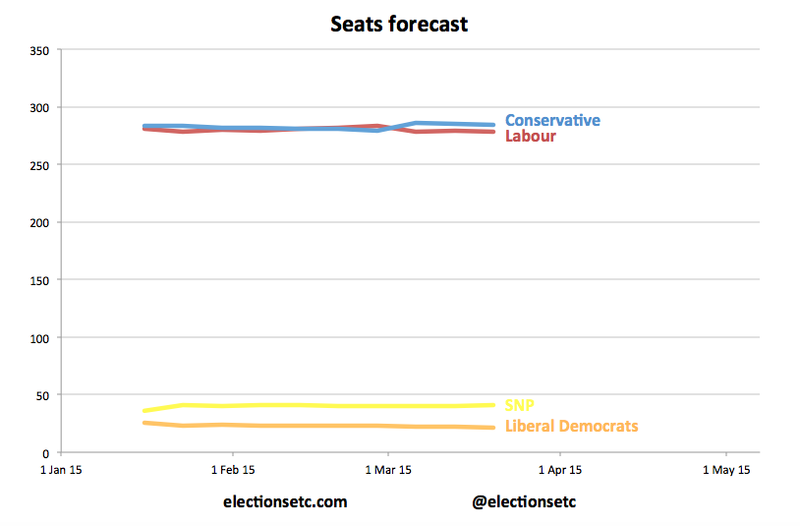 Labour and the Tories are still tied in our national polling average, with 33% each. 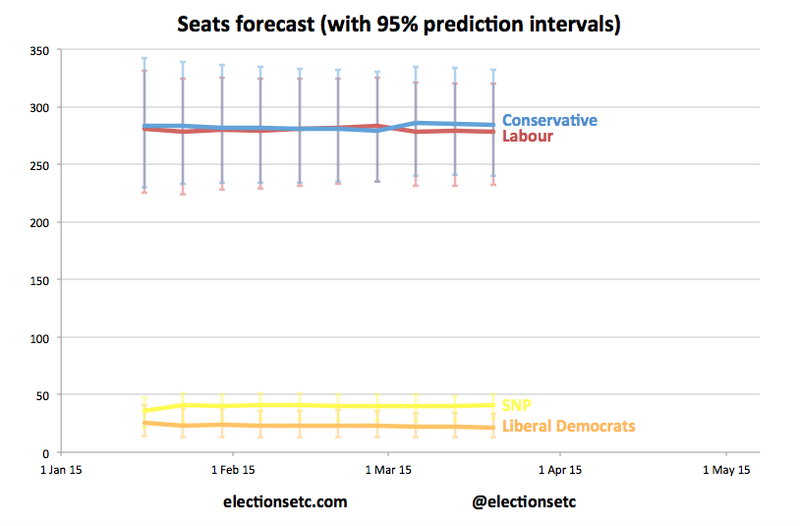 UKIP remains on 14%, and the Lib Dems on 8%. All of the polls in our average were conducted before Wednesday’s Budget, with the exception of the latest YouGov one, so we’ll have to wait to understand what, if any, effect the Budget has. With the new Scotland poll by Survation included, the SNP gain a point in forecast Scottish vote share: they now lead Labour 44%-30%. 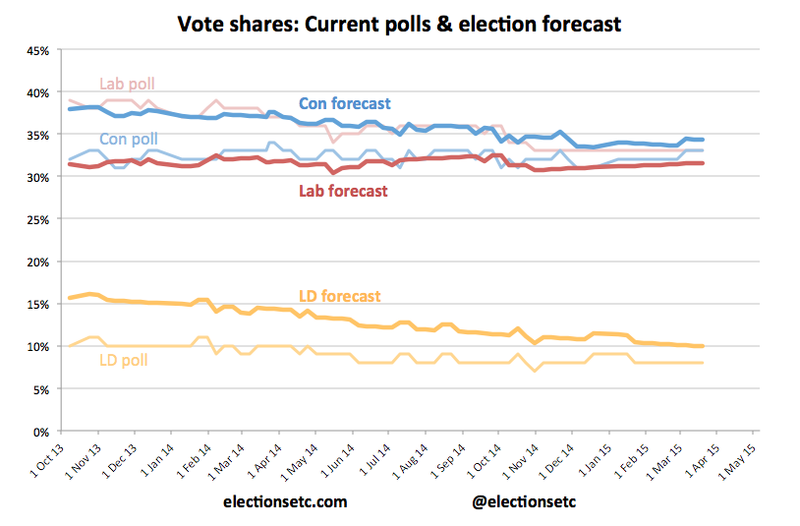 The overall effect is a slighter weaker forecast for the Tories (as they’re running out of time to move ahead), but no real improvement for Labour. Our model now gives the Tories a 73% chance of winning the most votes (down a touch from 74% last week), a 54% chance of winning the most seats (down from 55%) and just a 9% chance of securing a majority (down from 10%). Labour’s chances of a majority remain just 4%. 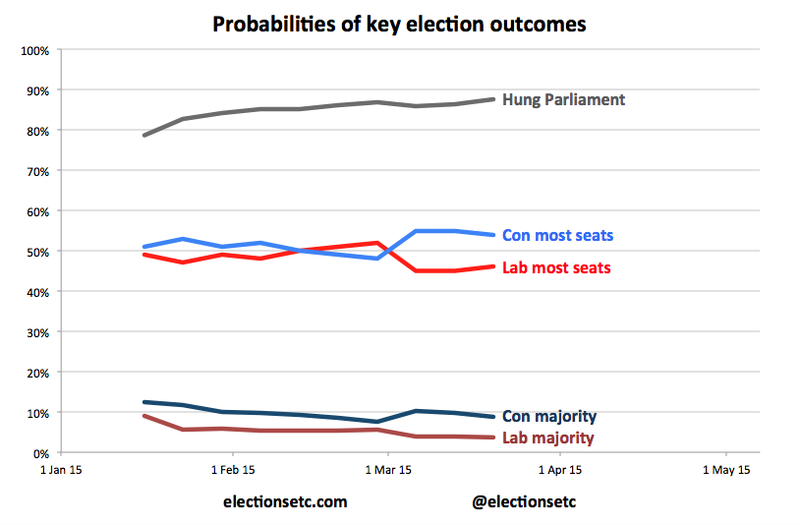 With the polls still deadlocked and just seven weeks to go, the chances of a hung parliament climb to their highest yet: 87%. 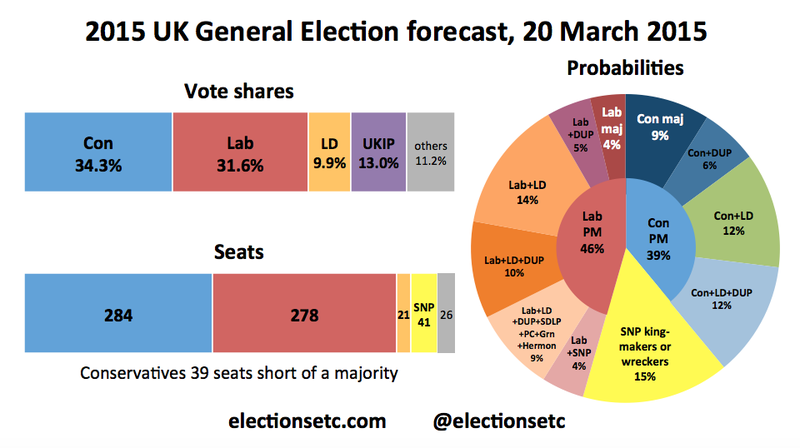 We make the Conservatives very slightly more likely to be the largest party in a hung parliament, but give Ed Miliband slightly more chance of forming a government, thanks to the potential for him to call on SDLP, Plaid, Green or SNP MPs, or Lady Hermon, for support if he needs it.